A Legendary American Author on a Silver Dollar, Along With a Special Guest! Author. Philosopher. Comedian. Intellectual. American. 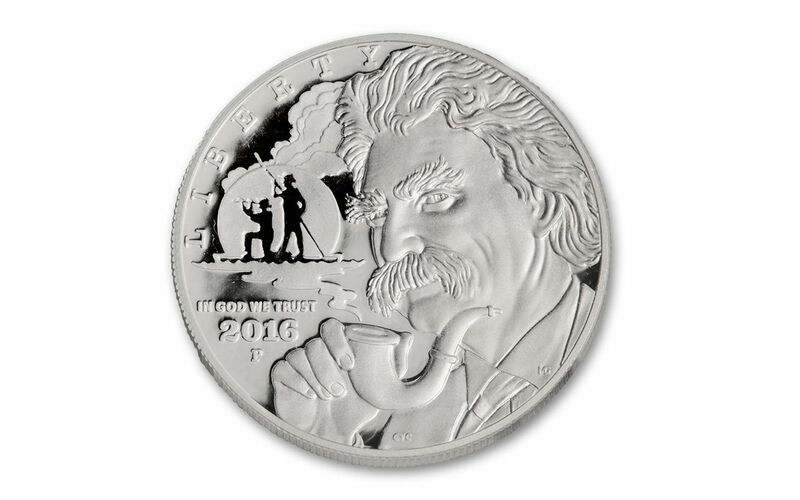 So, it's more than fitting that the U.S. Mint's latest commemorative artistically recreates the worlds that Mark Twain spun from his pen in these beautiful and highly collectable 2016 silver dollar proofs. 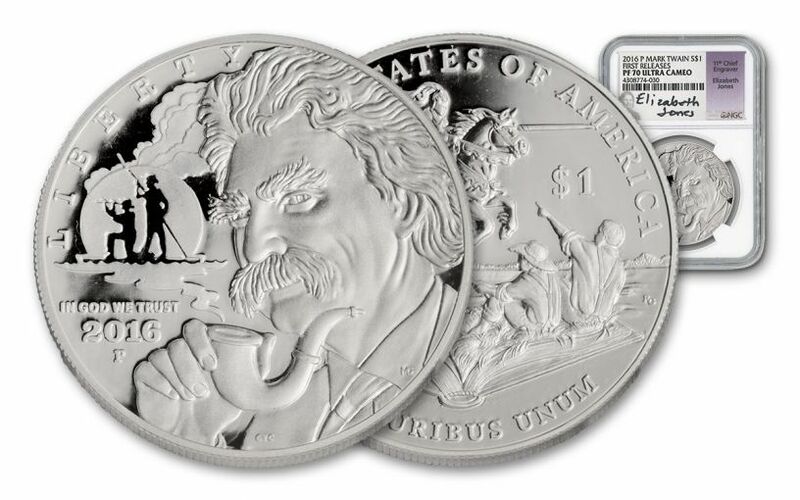 The literal heads of this silver dollar showcases the author himself, as Huck Finn and Jim rise from the smoke in Twain's pipe. The other side brings together the knight from A Connecticut Yankee in King Arthur's Court, Calaveras County's most famous frog, and Tom and Huck from The Adventures of Tom Sawyer. These designs come together in one ounce of 90% pure silver, struck with selected silver planchets and specially-manufactured polished dies. Your Proof will be graded immaculate Proof-70 (PF70) by Numismatic Guaranty Corporation (NGC), testifying to your coin's flawless condition with beautiful mirrored fields and frosted details. Your coin will also be certified First Releases (FR) by NGC, meaning that it was among the first struck by the mint and was certified within the 30 days of issue. Your Proof will be sonically sealed in an acrylic holder, giving you the best in protection while giving you clear sightlines into every beautiful detail. Your Proof will also come with a very important guest signature from Former Chief Engraver Elizabeth Jones. In 1982, she was responsible for creating the U.S. Modern Commemorative Program, establishing the first U.S. Mint produced commemoratives since 1954. 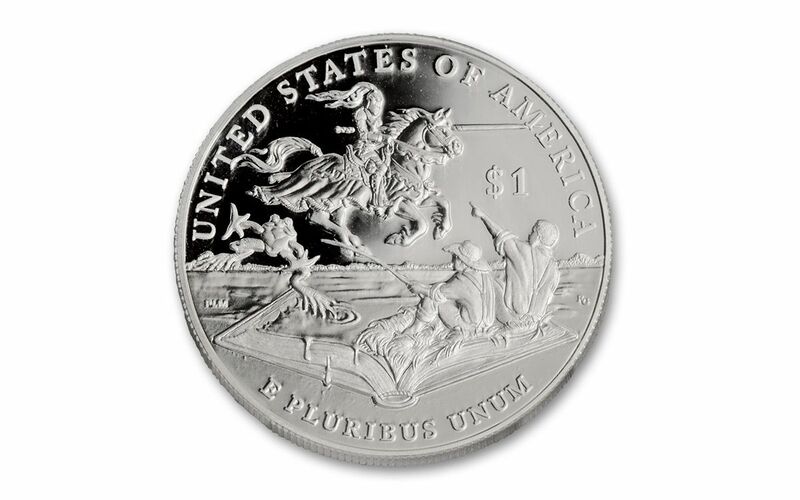 Since then, the program has produced a wealth of beautiful numismatic designs honoring the people, places and events that have shaped the United States. 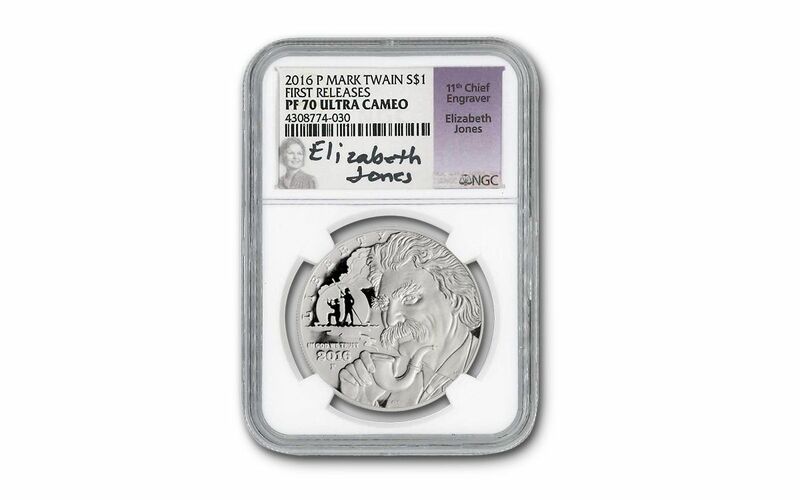 These Elizabeth Jones-signed Mark Twain Silver Commemorative Proofs are EXCLUSIVE to GovMint.com -- no one else has these! However, there are less than 200 of these Proofs available -- and our supplies are being whittled down by orders every day. Take this opportunity now to get this modern American tribute to a classic American legend while you still can. Order yours today!